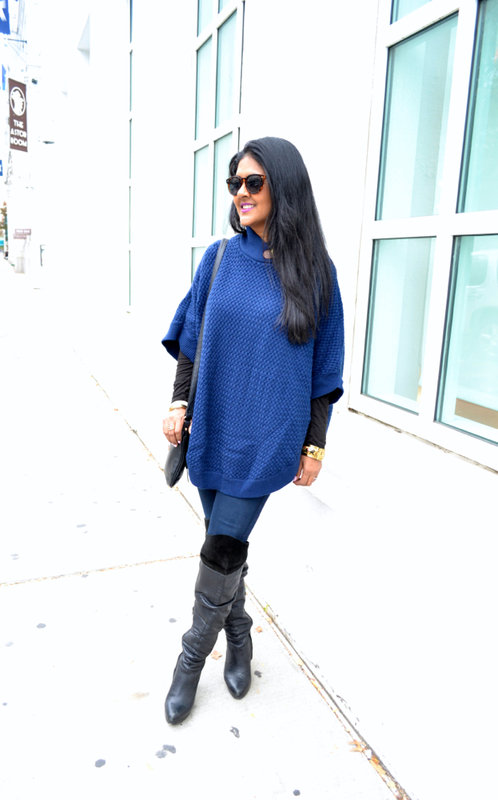 Ponchos have made a big comeback this fall and I am loving them. If you don't own one yet, I suggest one that is monochrome to allow you to mix and match with a variety of items. They are simple, easy to wear, and provide the right amount of warmth for this fall season. I actually purchased this one last year and didn't get as much wear out of it as I would have liked. With this years warms temps, I wore it to the local museum and did't have to bother with a jacket as well. 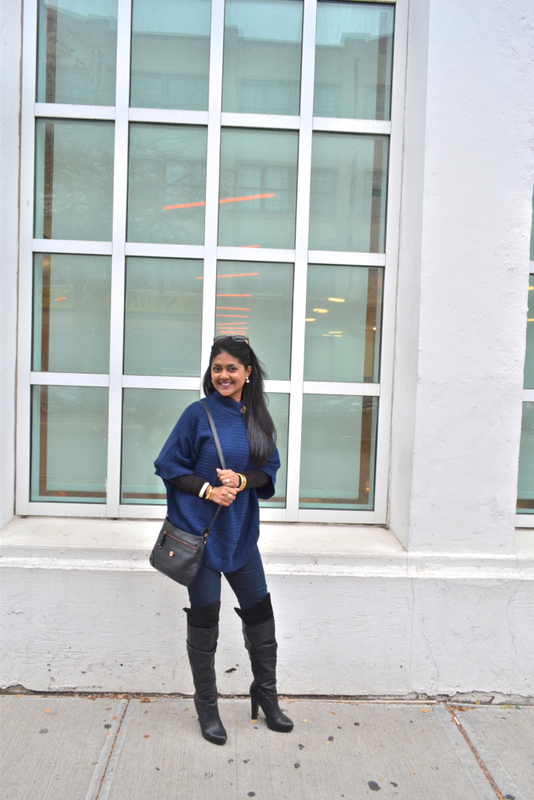 I kept it simple by pairing my blue Banana Republic poncho with blue jeans and just added a pair of over the knee boots, another great trend showing up again this fall. With these two items in your closet, a poncho and over the knee boots, you will be ready to tackle fall. They are easily becoming my favorite staples.